What I remember from Nixon´s visit was that the town awoke as if it were a holiday, it was the 20th of August. Workers, back then, were given the day off with the purpose of having the Malecón full of people. 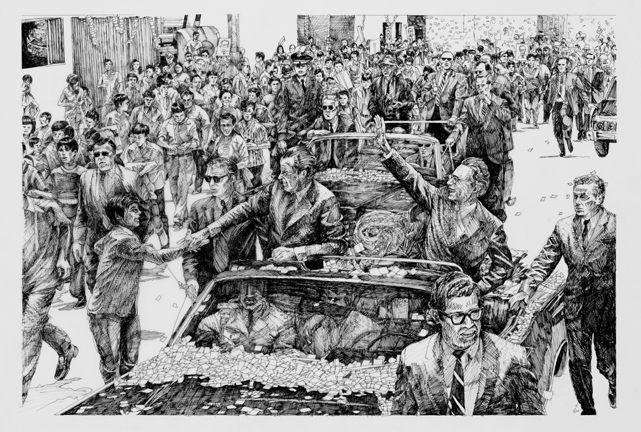 Lo que yo recuerdo cuando vino Nixon es que el pueblo amaneció de fiesta, fue un día 20 de Agosto. A los trabajadores de entonces, les dieron el día libre con el propósito de que se viera el Malecón lleno de gente.